The Trump administration wasted no time dismantling the Obama White House’s digital footprint shortly after taking office on Friday. 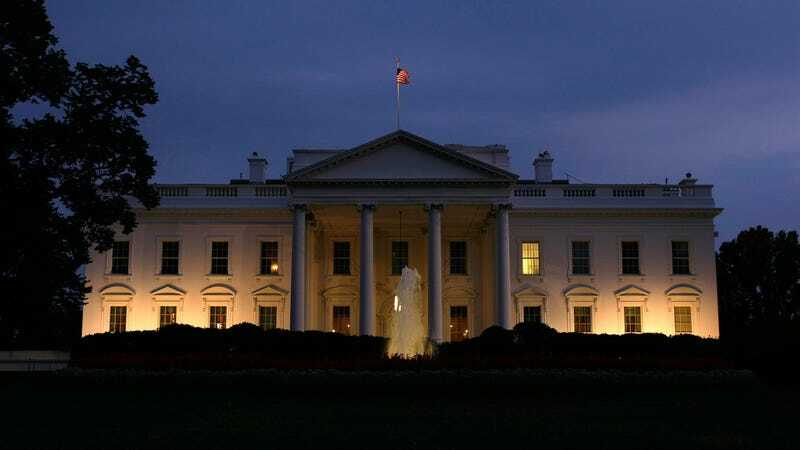 One of the most noticeable changes is that the Español version of the White House website no longer exists. After Mexico, the United States currently has the world’s second-largest Spanish-speaking population, making the disappearance of the website even more shocking. It wouldn’t take long or cost much for the White House to translate its website into Spanish, either. According to Acclaro, a New York-based language service provider that builds and maintains multilingual websites for companies like Netflix, J. Crew, and Visa. The company figures there are some 80,000 words on the entire website, and that it would cost about $40,000 to translate them. The Trump administration could also do the bare minimum or even follow Obama’s lead. During the previous administration, the official White House website was never fully translated. It was instead used to share Spanish language versions of policies and news announcements. We asked the various translation services how much it would cost to translate Trump’s latest news and issues White House pages, and the cost was miniscule. “Everything together is $1,265,” a Globe Language Services salesperson told Gizmodo. The cost was also tiny when we asked Acclaro, who priced it at $3,320. This would obviously be just a miniscule fraction of the $3 trillion federal budget. It’s not new for the federal government to spend fistfuls of money on translations, either. One report found that the US government spent about $4.5 billion on translation and interpretation services between 1990-2009. The Obama administration used subcontractors and its communications team to keep the whitehouse.gov/espanol website updated regularly. The Obama White House also regularly used the Spanish Twitter account (@LaCasaBlanca) to share news about the president’s speeches and updated policies. The Trump administration has not yet used the Spanish language account. George W. Bush—the most unpopular president in history—also maintained a Spanish version of the White House website. The former Governor of Texas was also famous for giving speeches in (broken) Spanish during his presidency. Trump made it clear during the campaign season that he has no interest in preserving a relationship with Mexico or Spanish-speaking voters. He has regularly promised to build a wall on the US-Mexico border that he says Mexico will pay for (despite asking Congress for the funding). In 2015, Donald Trump also criticized Jeb Bush for speaking Spanish on the campaign trail. Trump told Bush that he should set an example by speaking English. When asked about it during a presidential debate, Trump dismissed the need for bilingualism. Trump’s unfriendly position towards immigrants in this country has been no secret. And through the White House website we see that his position is immediately evident after the inauguration. We contacted the Trump administration for comment, and will update if and when we hear back.